Feel At Home Backpackers are at your service to provide the best budget hotel in Thailand at very affordable prices with great facilities. 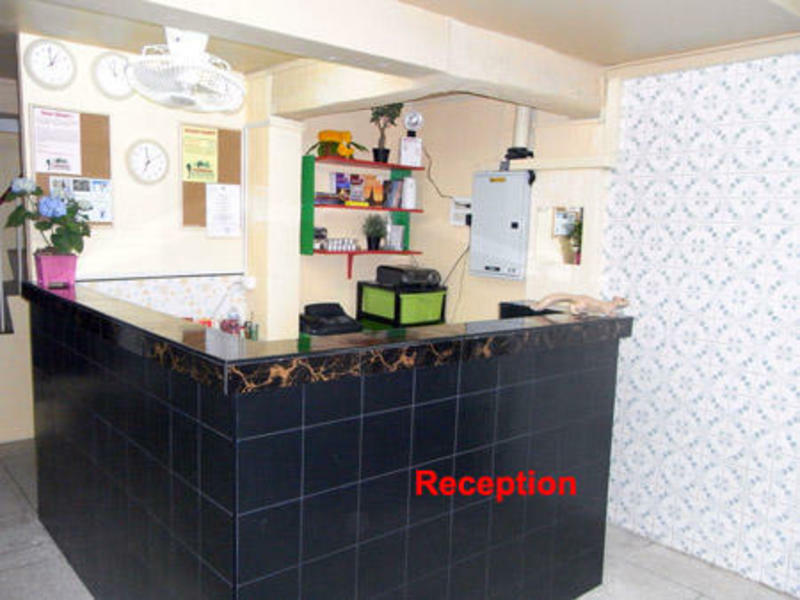 Friendly and clean atmosphere will makes you to come back and stay with us. Our tour-operator part will assist you in telling you the famous tours and further we can book for you as well. Feel At Home Backpackers location is perfect for tourist's who are coming to Bangkok (Thailand) for couple of days. We are located just 2 min walking distance from very famous KHAO SAN ROAD. We are backpackers and having dorms for mans, womans, mixed ones at a very competative rates in Bangkok. We can give you the best detailed information at our tour desk. We can book your further tours, attractions at a very competative rates. -Free Individual Lockers and Locks. -Free Linens, Towels, Duvets, and Luggage Deposit. -Free Internet Access and Computers. -Free access to guide books and non fictions. -Free Maps and traveling advice. -Free Private and Public Satellite TV and Movies. Please do note that we are going to charge THB 5.00 per day per guest as per for service fee to maintain the building stuff. This will be applicable from July 1 2013. Common Room: Our common rooms is good enough for you to become social and enjoy the stuff like playing carom, cards etc. Moving on from Bangkok? We show you how to get to everywhere, on your own and save you the $ that the tour agency would normally get for them booking your tour. Do it our way. Yes, there are times when a tour agency is your best option, mostly when you are limited on time, but with the proper knowledge (I.e. Where to go buy tickets) you're able to book your own. Save money, do more! Here are just some of the destinations we make available for you. Kanchanaburi, including the floating market, war cemetery, and bridge over the River Kwai, Tiger Temple ( (ever touch a tiger? Walk beside tigers, don't run or move to fast.) Elephant riding and washing(ever wash an elephant?) , Erawan Falls-The best water falls in all of Thailand( swimming allowed) Hot springs, Hell Fire Pass- ('Lest We Forget') - monkey training zoo, the big tree and bamboo rafting are also available! Make it a 3 day run and you can add three Pagoda Pass, Viwagaram Temple, underwater temple, orphanage, and a long wooden bridge. Take a Public Metered Taxi (24 hour service) on the 1st floor, near Entrance 4 and 7. From Airport to Feel At Home Backpackers, plus 50 Baht surcharge and toll, the fare is approximately 400 - 500 Baht, depends on traffic conditions. Option 2 : Airport Sky Train (SA City Line) - Pyathai Station - Feel At Home Backpackers. -This train provides service between Suvarnabhume Airport station to Phyathai Station (30 minute, 90 Baht) which covers a distance of 28 kilometers and provide service from 6.00 to 24.00 everyday. -Get off the train at 'Phyathai Station' And call a metered taxi to Feel At Home Backpackers. The fare is approximately 100 Baht. *** Insist to turn the meter on.